When you are looking to compare business utility prices, it is important that you prepare yourself beforehand to try and get the best business deal on your utilities. 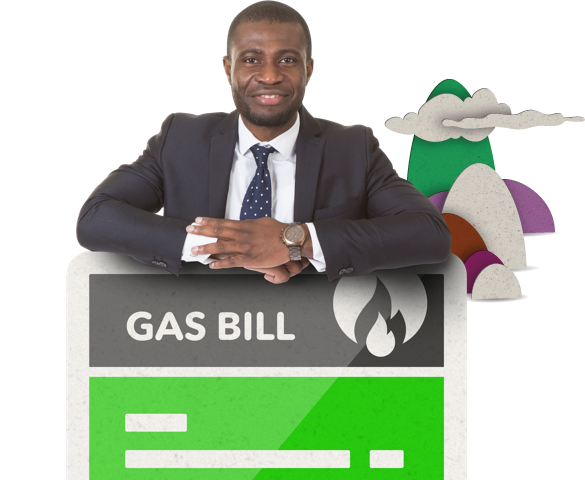 All it takes is a little bit of research and planning and you could get a great price for your business gas and electricity. Here are a few tips on how you can get a great deal on your utility prices without having to spend a lot of time looking through comparison results. The first thing you should do when you prepare to compare business utility prices is figure out how much energy you use and how much it currently costs. In order to get accurate results in a comparison search, it’s always best to know how much energy your business uses on an annual basis. That way you will be able to see with greater accuracy if a utility comparison result can actually save you and your business money. If you are thinking of waiting a few months to try and get the best price (see below) then it could be a great time to try and bring your business energy costs down. If you can bring the bill down, then it could save your business even more money when you come to compare business utility prices. 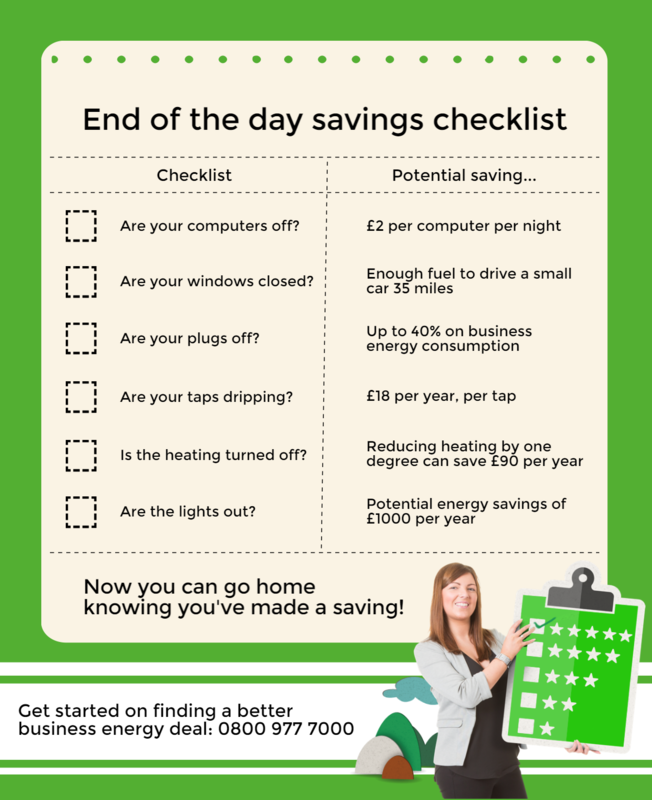 To help you save a little money, here is an energy saving checklist for when you leave your place of business at the end of the day. These savings alone could bring your business energy bills right down. In most cases, a utility company that offers dual fuel supplies will save you money. While you should always shop around to try and find the best deal for your utilities, dual fuel suppliers can make things a lot easier. Before you commit to anything though, make sure that you look at all the details of the dual supply offer. 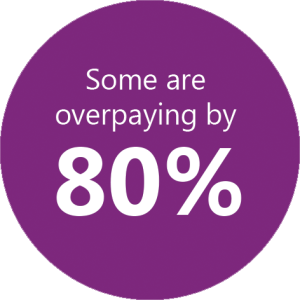 It could be that the deal on offer doesn’t actually save you any money compared to other deals that provide your utilities separately. So make sure you have a good look through all of your comparison results before you make a decision. When it comes to comparing the price of business utilities, timing is everything. When you do decide it’s time to get new energy providers, then the best time to start looking is when companies do a pricing review. These tend to happen in April and October and they can often lead to some substantial savings. So it could be well worth your time just waiting a few months if you can before the next price review takes place. This is probably the most important factor when it comes to finding good business utility prices. If you really want to save money on your business energy bills, then it’s important that you use a comparison site that you know will deliver the best results.